High quality rain garments can be the difference between a successful hunt and sitting in the lodge. GWG has designed our women's hunting rain gear with the extreme huntress in mind. This rain jacket boasts an impressive list of features to keep you warm and dry. 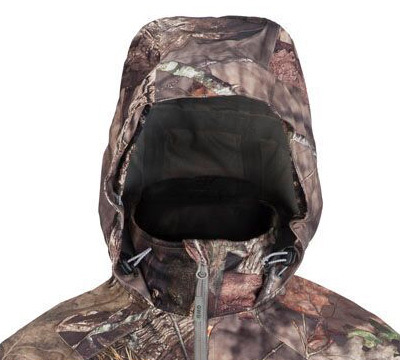 It is 100% waterproof with a 3-layer laminate, seam sealed zippers, a Hi-Vis 3 piece hood with rain brim, one hand hem and hood adjustment, and 1 chest and 2 hand warmer pockets. Keeping the huntress in mind, we've included a license loop and an articulated elbow design. 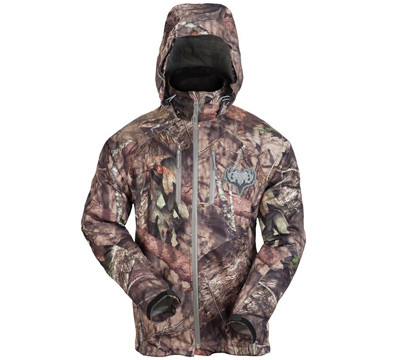 This is the quietest rain jacket you will ever hunt in. 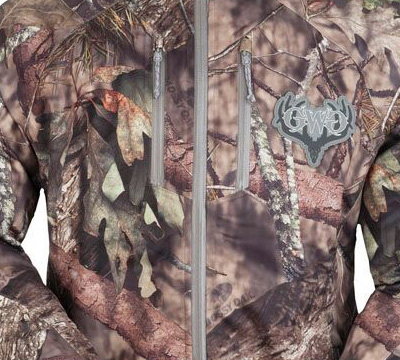 Features include: Mossy Oak® Break-Up Country™, 10,000 x 10,000 Waterproof and Breathability Rating, Hand warmer pockets, 100% Polyester, and Fabric: 2-Way Stretch. Made by Realm Brands, LLC. LIMITED TO STOCK ON HAND. NO BACKORDERS.